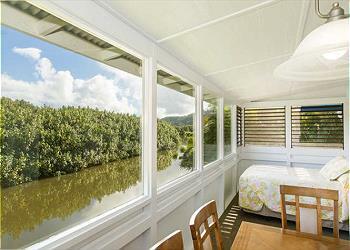 Live Your Hanalei *RiverFront* Vacation Dream! 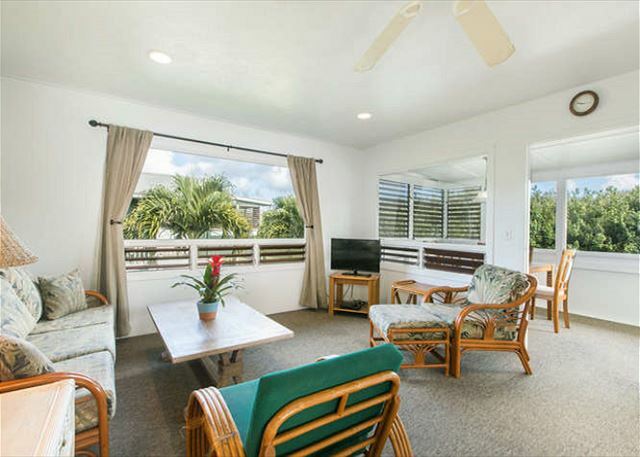 This is a legal vacation rental with a 24hr / 7 day on island contact 877.465.2824 and on property Kauai Exclusive Management LLC Agent Joshua. Stay in Hanalei for a classic Kaua'i Experience! With a birds eye view and the serenity and sounds of nature on the Hanalei River, the Dolphin Cottage #2 is a Truly Unique Tropical Accommodation!! 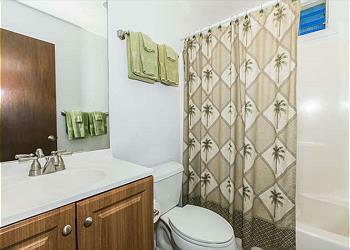 Cottage #2 is fully equipped with all the amenities you need to make your stay Enjoyable! 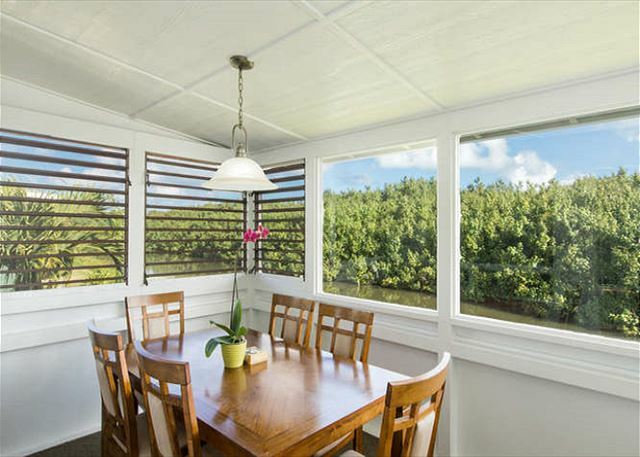 Stroll, Kayak or drive two minutes to the beach at famous Hanalei Bay, enjoy multiple options for dining and shopping within walking distance. The well manicured grounds, classic plantation style setting and *Epic Location* makes this rental one of Kauai's most unique vacation rentals! This two bedroom, one bath cottage includes three queen size beds, a fully stocked kitchen, ceiling fans in each room, a private outdoor shower with hot water, as well as a washer and dryer. There is also a gas bbq, stereo with iPod docking station, LCD TV, DVD, cable, wireless internet, and sleeps four. 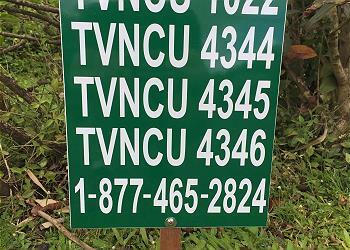 These are VERY popular Vacation Rentals!!! 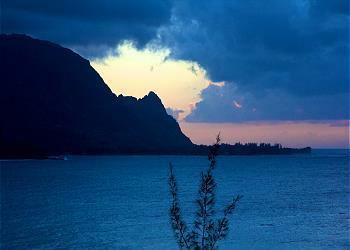 Please Call 877 Go-Kauai *(877.465.2824) to book your epic Kauai experience TODAY! The Dolphin Cottages are perfect in every way...from sitting outside by the river and watching the kayakers paddle by to sleeping on the porch with the sea breeze wafting through, it is paradise here - private, quiet and very restorative. We had a great time at the Dolphin Cottage #2. 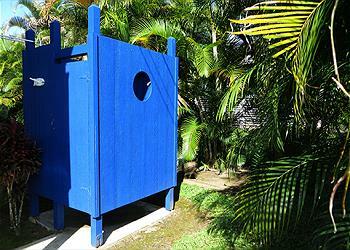 The location cannot be beat and the cottage is fully stocked with towels and kitchen supplies. We had a great stay. 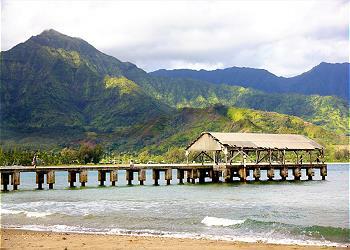 It was very accessible to the very sweet town of Hanalei. A nice and convenient place to stay. 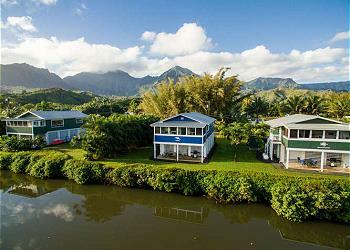 Close to Hanalei town. We were able to pretty much walk everywhere. Nice evenings by the river. My wife and I returned to Kauai for our 3rd trip in January 2018 and we stayed at the Dolphin Cottage #2 for a week. I cannot say enough positive things about this cottage. 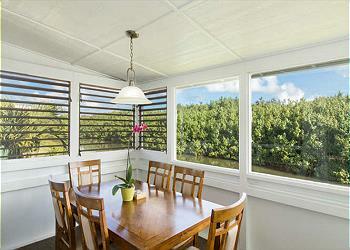 Good space, airy, sort of rustic with the wooden window slats but to me that adds to the charm of the cottage. It is so peaceful having coffee out front in the morning and looking at the mountains or sitting by the river in the afternoon and watching the paddlers go by. We loved every moment here and I know we will be back in the future. 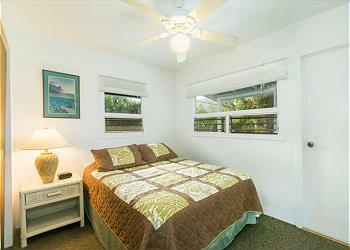 My mother and I came to Kauai for some relaxing quality time and that is exactly what we got at the Dolphin Cottage. It was perfect. 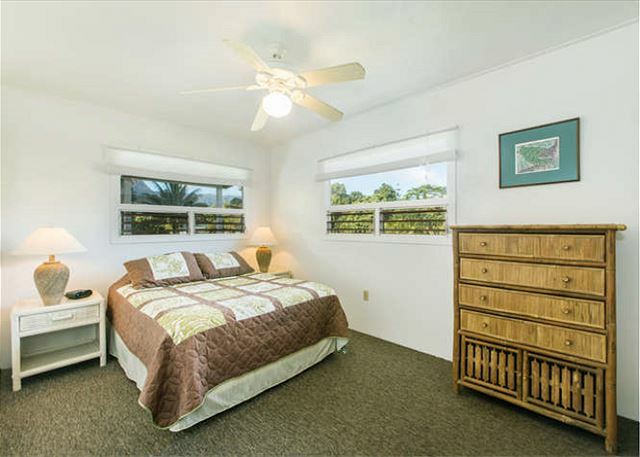 Beautiful location centrally located within walking distance to all Hanalei has to offer. The beach was a super short drive but definitely within walking distance as well, as long as you didn't have too much loot or heavy ice chests. The cottage had everything we needed at our disposal. It was clean and I must say had the most comfortable sheets I've ever slept in. The bed overlooking the river was spectacular, rain or moon shine. The only very small detail that was just shy of a 10 rating was the lack of water pressure in the shower and the noise from the restaurant in the somewhat early morning (which can't be helped and we weren't looking to sleep the day away anyway). We are definitely planning on bringing the whole family back as soon as we can!! Super great place to stay!!! 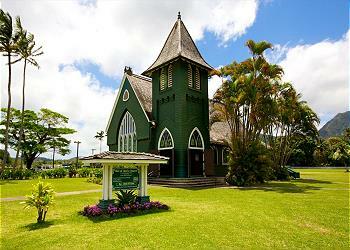 Such a relaxed holiday in Hanalei. The location is excellent for paddlers. I was able to safely leave my paddleboard on the grassy area near the river for the week. The only suggestion I would make is that proper sun blocking blinds or curtains would make the bedrooms cooler. 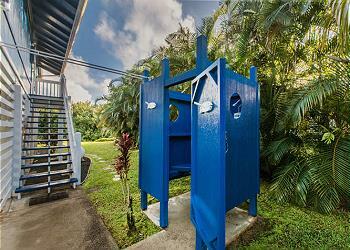 Great location- so nice to be able to walk to the beach and restaurants. Great to be able to cook, bbq, shower outside, do laundry etc. Being on the river is very peaceful. Not all the houses have boggie boards... would be nice to have lounge chairs besides the dining table and chairs outside. Otherwise very pleasant clean place to stay- I highly recommend it! 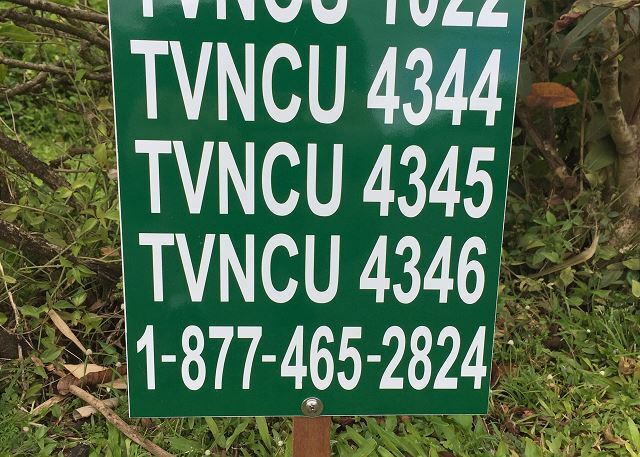 We had a wonderful vacation joining family from around the globe and renting a couple cottages. Loved how close it is to the village and it is fun to people watch as they float by on kayak and SUP. Place was very functional and convenient in every way. We will be back again for sure. Dolphin Cottage # 2 - Great Vacation! 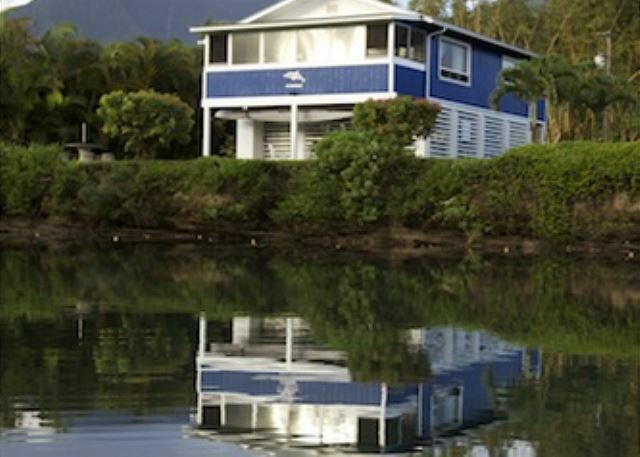 We all enjoyed our stay at the Dolphin Cottage # 2 over the July 4th holiday. 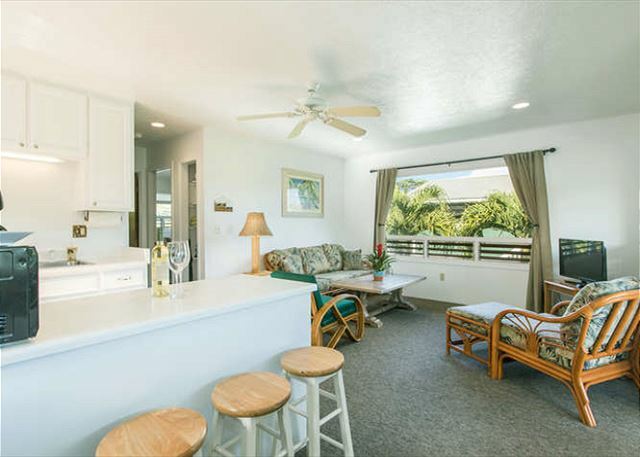 Michael was very helpful, he was able to place our groceries in the refrigerator prior to the check in time as we were coming from an earlier stay in Lihue. 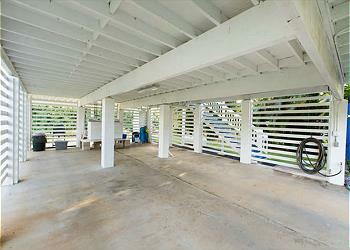 I noticed the fan that was in the porch/dining area was no longer there and asked about it. Michael said that he had to move it to another unit whose fan had failed prior to our arrival and that he would give us one to use until the new ones on order arrived. It did arrive the next day and was much appreciated. It's too muggy otherwise to sit out there at the dining table. A couple of things that would improve the stay: we only had one dishtowel and it would be helpful to have at least 2 or maybe even three. While it says that we can have 4 guests there, there are only 3 knifes in the silverware drawer. It needs to have more silverware. Some type of plastic bowl for the ice cubes would be helpful for the freezer and some small storage bowls would be good, too. The kitchen really is under supplied and could use more general use items, but the toaster and blender and cutting board are helpful. Finally, the fabric on the couch and chairs is faded and tired and one chair is also stained. Maybe it's time for a revamp. 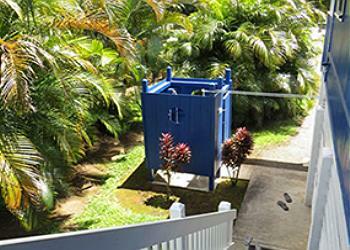 Overall, the location and beauty of this place is fantastic and we very much enjoyed our stay. Thank YOU for asking and I do look forward to another stay in the future. We loved, loved, loved this cottage. Truly a dream come true to stay right in the lovely town of Hanalei in this cottage, with a river right outside the house. So peaceful and beautiful! The cottage was perfect. 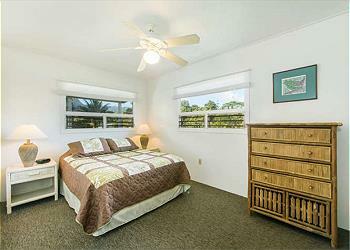 Plenty of room for our family of three with everything we needed, comfortably furnished and adorable. The property manager, Michael, was super helpful as well. We hope to come back to this wonderful place and had the most wonderful time there. Our stay at the Dolphin Cottages was magical. Everything we needed, very comfortable, and lots of aloha spirit. We couldn't have asked for more except maybe another week! Mahalo Hanalei! 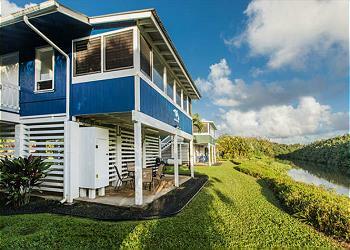 Our first week on the Island of Kauai was spectacular and our accommodations were the perfect fit!